I have just begun selling table runners and they are a very popular item. 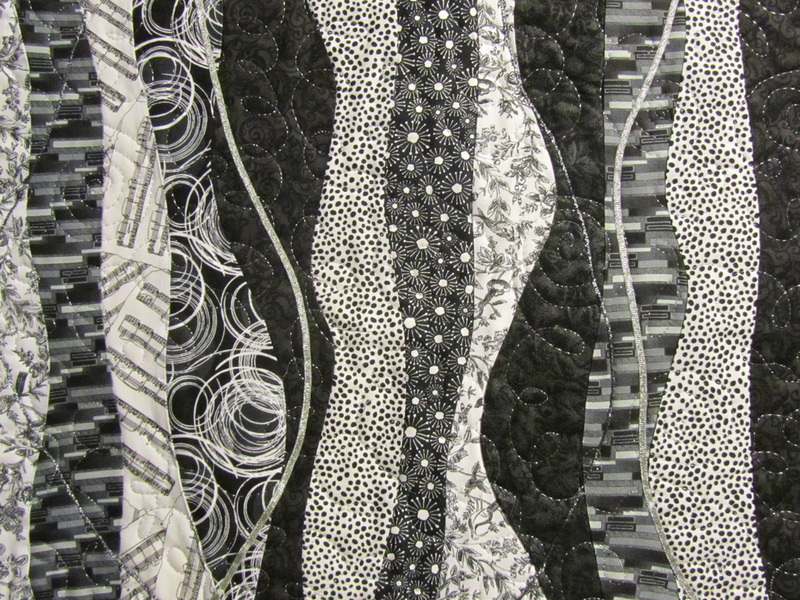 As with all fabric items, it is sometimes hard to capture the intensity of the colors, and the black and white runner below is particularly hard to capture. 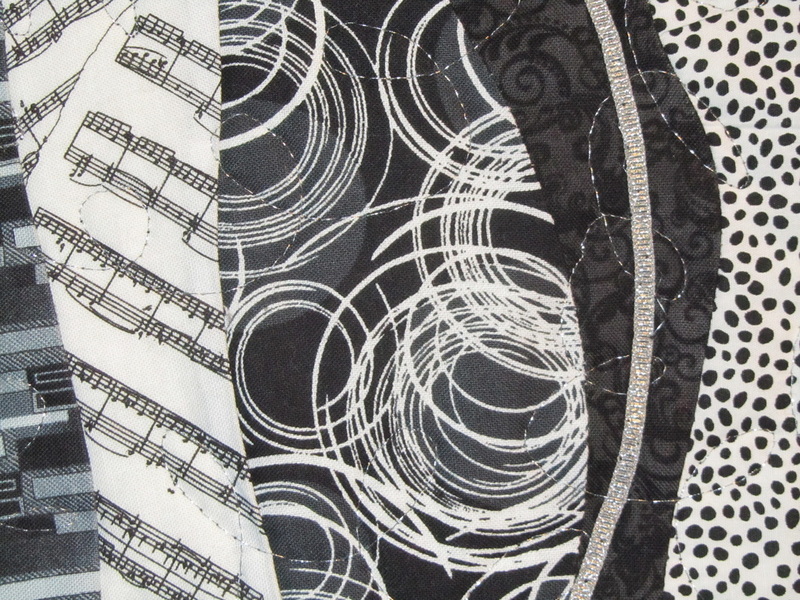 My husband, who is not partial to black and white quilting, says this one is especially striking and elegant. 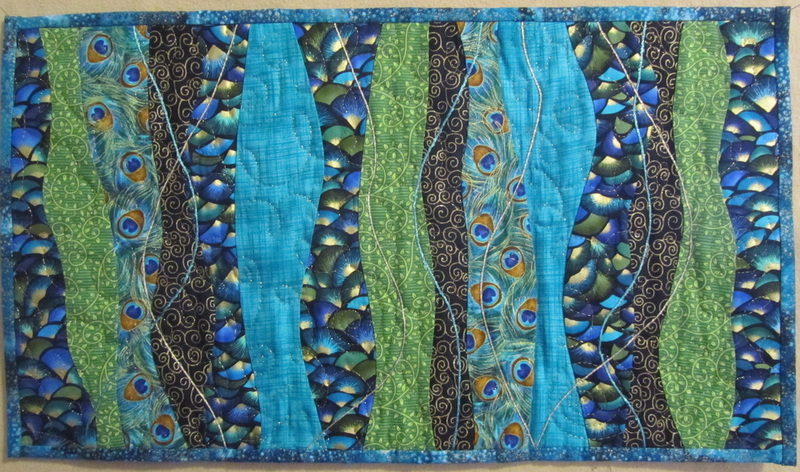 The peacock runner measures 15"x20". 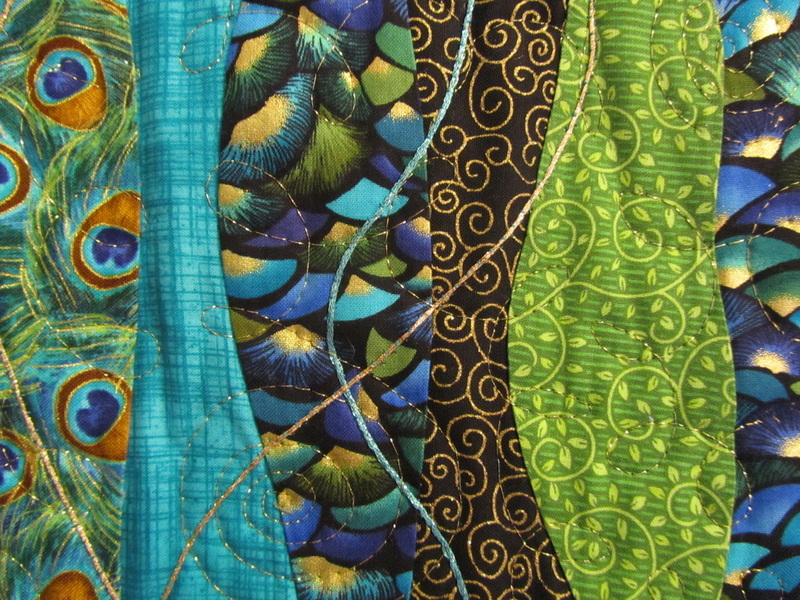 It is embellished with gold and turquoise cord and quilted with metallic gold thread. 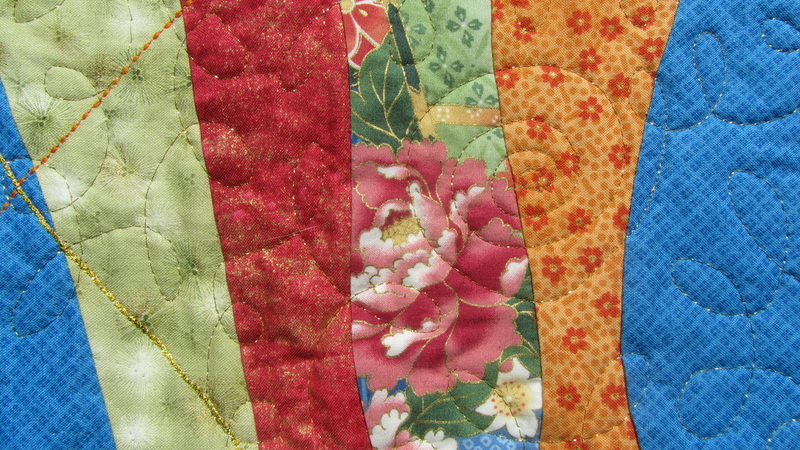 Most of the fabrics contain some metallic gold as well. 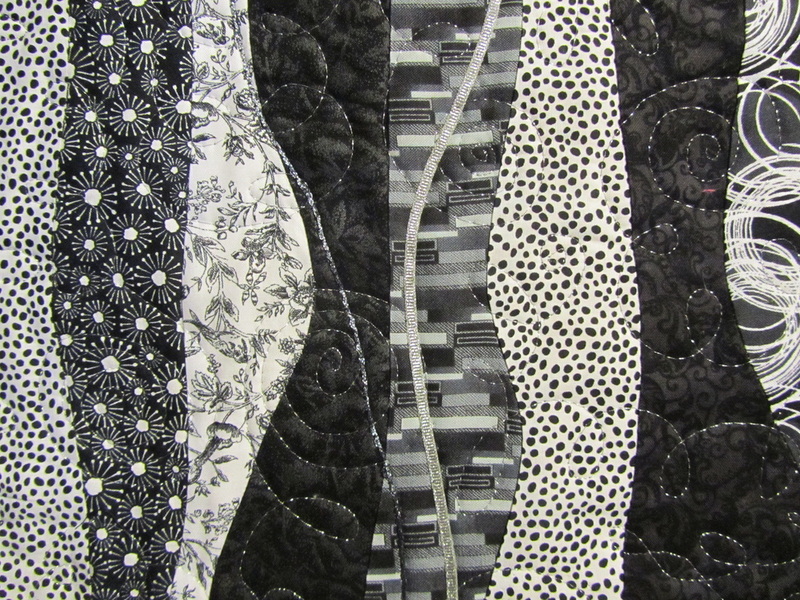 The black and white runner measures 15"x37". It is embellished with pewter and silver cord and ribbon and has been top quilted in metallic silver. 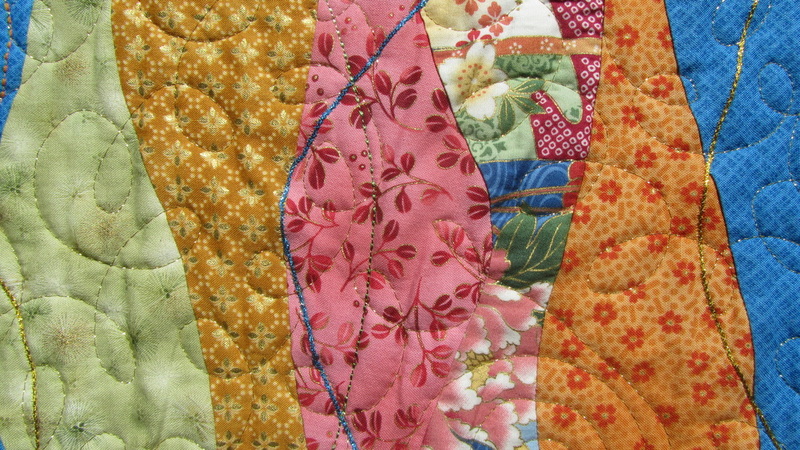 The fabric and batting are all 100% cotton. I can work with any color scheme you desire.